When I meet a patient for the first time, they often tell me they never smile because they are self-conscious about their teeth. Working with them to improve their smiles and boost their confidence makes every day of my job incredibly rewarding. I have been very fortunate to have chosen a great profession where I can help improve patients’ lives. This is very rewarding because I can see the difference I am able to make every day. I love learning about my patients because they are all so different and interesting. The time I spend caring for my patients gives me a greater appreciation for their individual needs and it also makes me feel more involved in my community. I grew up in Warren, Ohio, just a stone’s throw from the Pennsylvania border. I had a great experience when I came here to Columbus to attend the Ohio State University, where I earned my Doctorate of Dental Surgery and then my Certification in Orthodontics. Even though my formal education is complete, I make sure to attend annual continuing education courses to stay up-to-date on all of the latest technology and practices in my field. I am very lucky to work with a staff of experienced professionals who are great with patients and a lot of fun around the office. 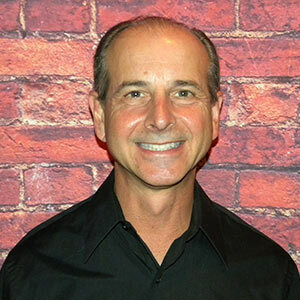 Many of the people on my team have been working with me since I began my orthodontic private practice in 1993. All of the time we’ve spent together has made us operate with great efficiency and ease, which our patients really appreciate. I have been a proud member of the Rotary Club since 1996 and I was honored to serve as its president from 2008 to 2009, aiding both local and international communities with fundraising and volunteer projects. I am also active with the Ohio State University Orthodontic Alumni Foundation and I currently serve on the board of directors. I share my home in Columbus with my lovely wife, Monica, who is a dental hygienist. Our two daughters have chosen careers in the medical field helping others.